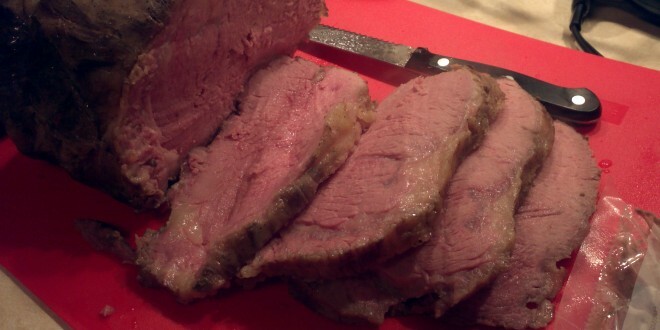 Prime Rib has always been one of my favorite things to order at a restaurant. 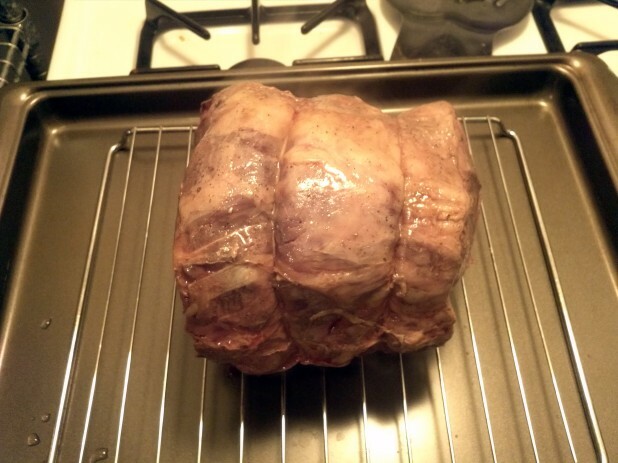 Its so juicy and always perfectly cooked. I’d never tried to make it at home before but I figured I’d give it a shot. 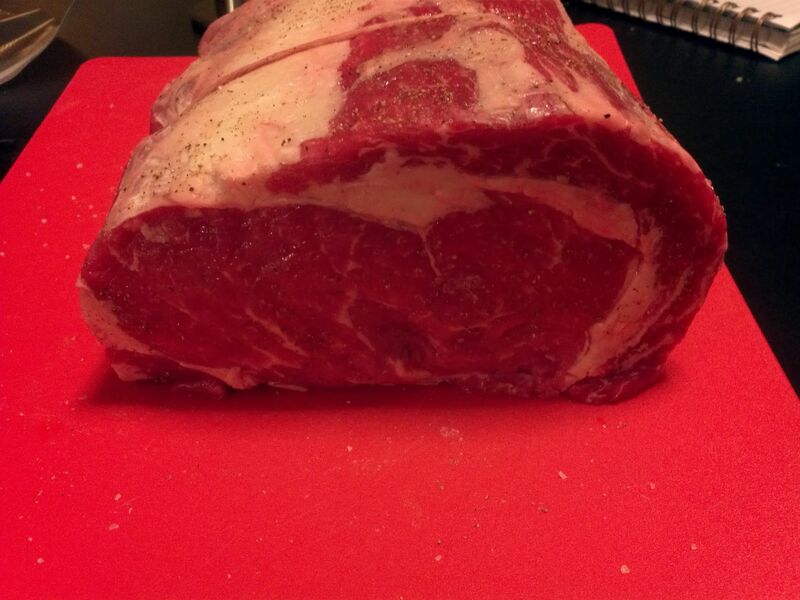 However, when I went to the store the actual prime rib at BJs was $120!! Luckily, I was able to get the butcher to cut me a more manageable 5 Lb cut of rib. To cook it, I decided to use my homemade Sous Vide setup so I could get the ideal finish level. It worked out really well! The prime rib turned out excellent! It was really tender and medium rare! Start with a nice cut of prime rib and liberally apply salt and pepper. Note that prime rib is a little confusing in the sense that prime is the grade of the meat and rib refers to the section which it is cut. So in reality you will probably end up getting choice rib but that’s besides the point. 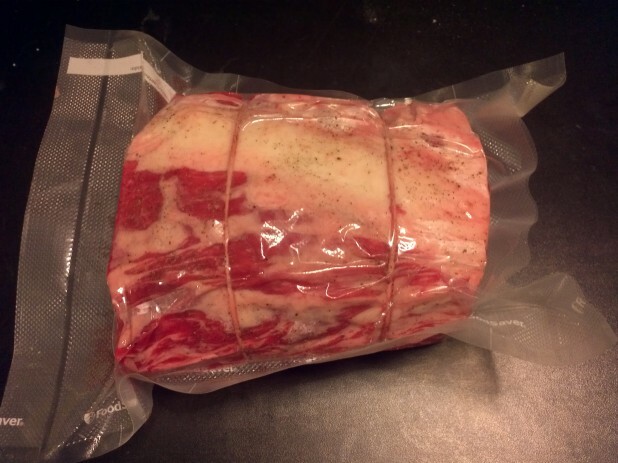 I went to my butcher (at BJs) and asked him for 5 lbs of prime rib. Next, seal the prime rib with your vacuum sealer. To cook the prime rib, we will submerge it in hot water for 10 hours. 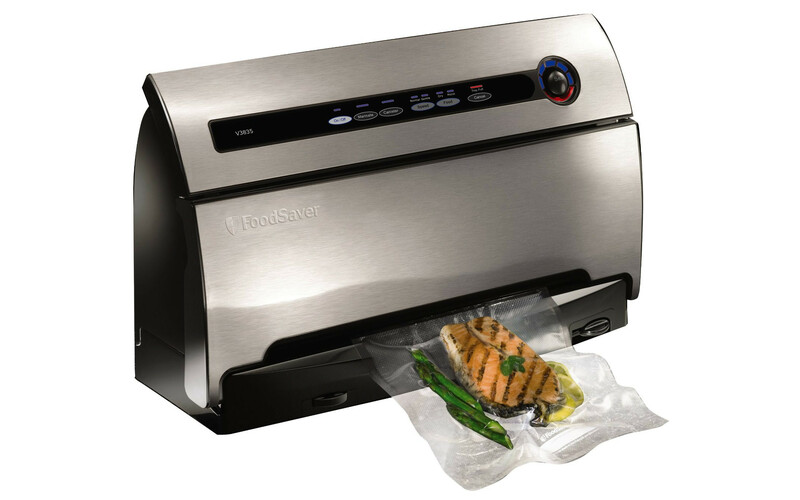 I am using my homemade sous vide machine but you can also buy one from amazon. I cooked it at 58 degrees which is on the border of medium and medium rare. If you like it more rare, adjust it down. 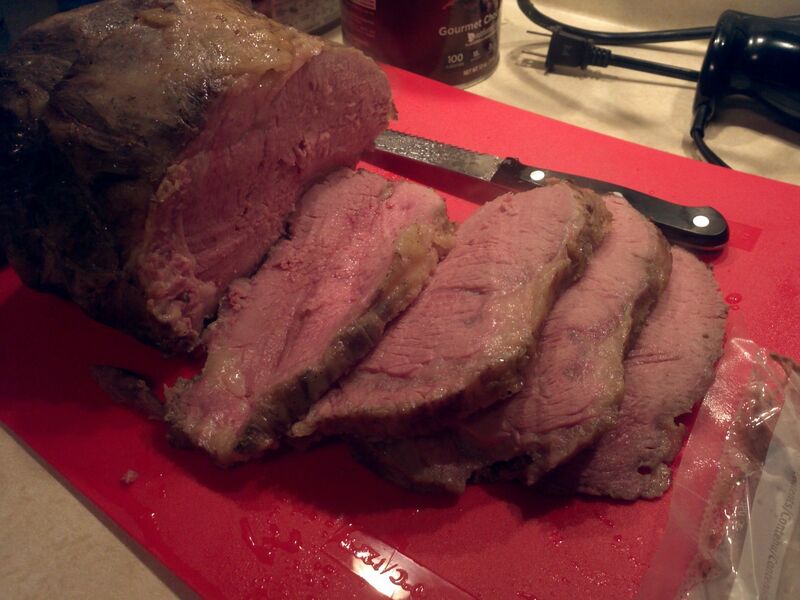 Here is the prime rib after 10 hours of cooking. 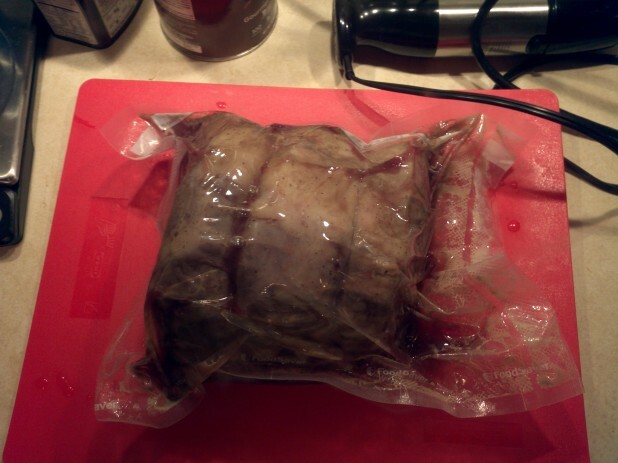 The Sous Vide method doesn’t char the outside of the roast at all so after cooking it, briefly broil it in the oven to char the outside. After the roasting, you can see that the roast is a perfect 133 F via my thermapen. By the way, I just got this thermometer and it is by far the best thermometer I’ve ever had. It’s super fast to read and waterproof. 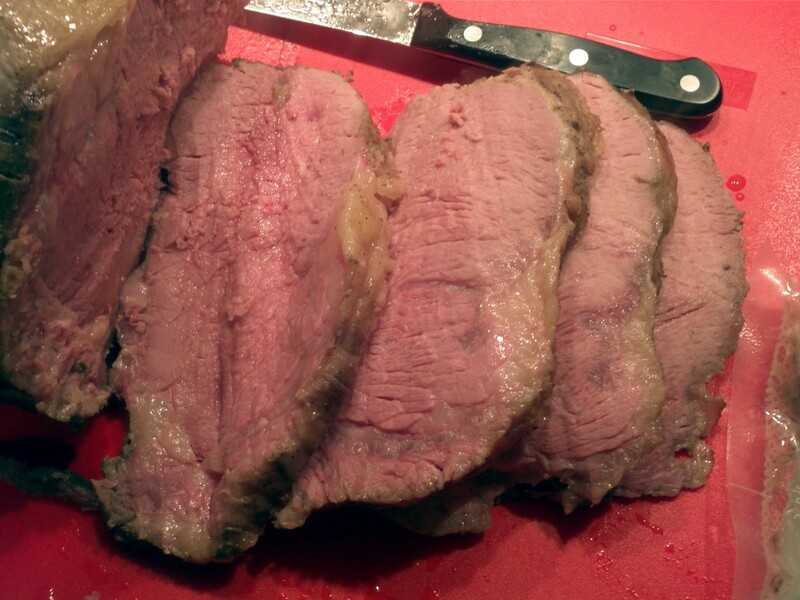 Here is the cut prime rib! It was absolutely ridiculously good!! 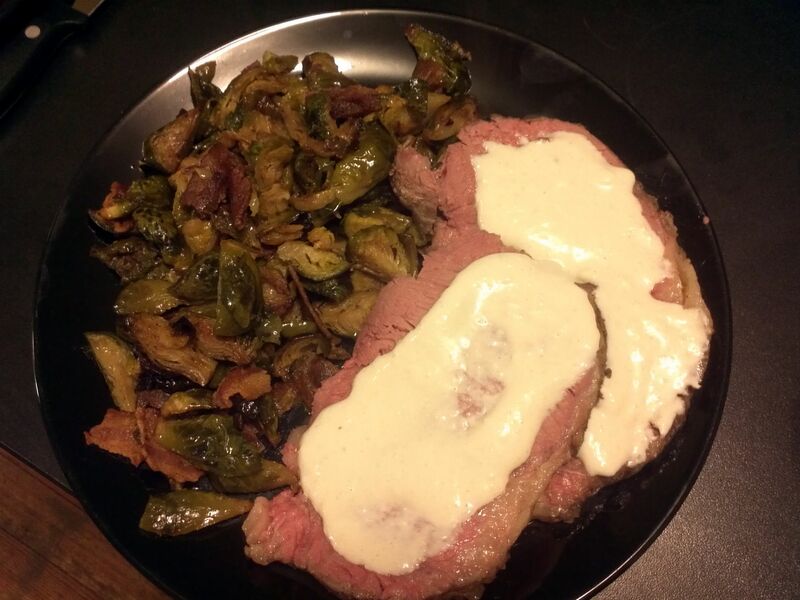 Here is the prime rib served with horseradish sauce and bacon brussels sprouts. Also, a note on leftover prime rib. Normally I would microwave leftover meat. 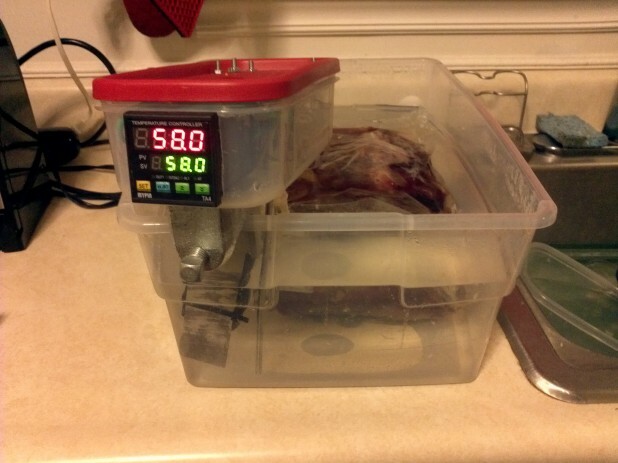 However, with Sous Vide, you can really do an interesting trick where to heat it back up, you just set the Sous Vide to the same desired temperature and heat the meat for 45 minutes. 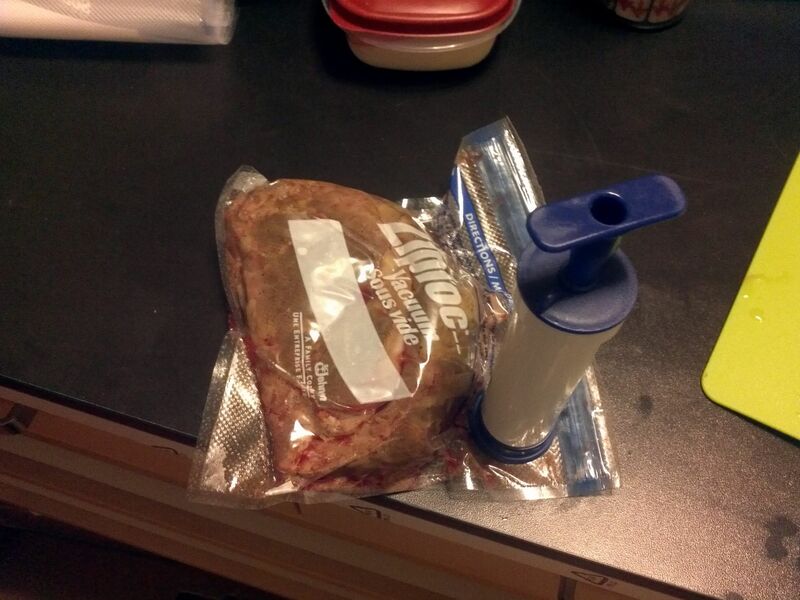 Also, you don’t have to always use an expensive vacuum sealer, for the leftovers I used these ziploc vacuum sealed bags. 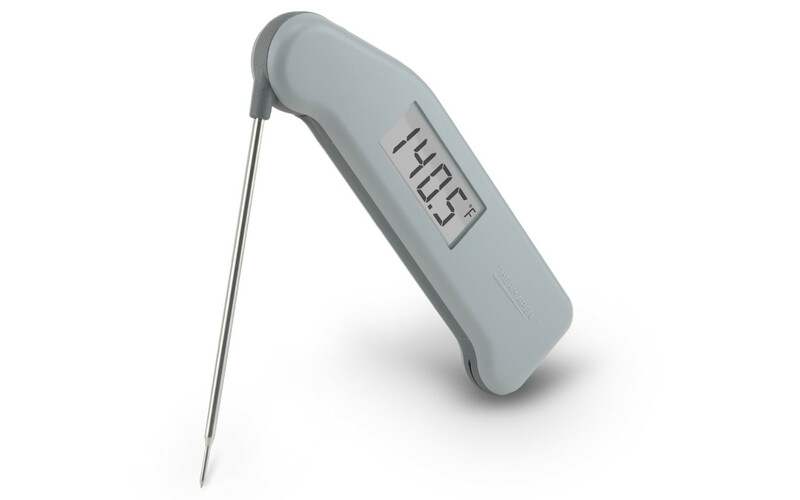 This probably shouldn’t be the first thing you buy for your keto kitchen, but eventually, you’ll end up buying this thermapen. It seams ridiculous to blow $80+ on a temperature probe but once you go through 5 other cheap ones, or burn your hand waiting for the temperature to stabilize, you’ll wish you just picked one of these up. 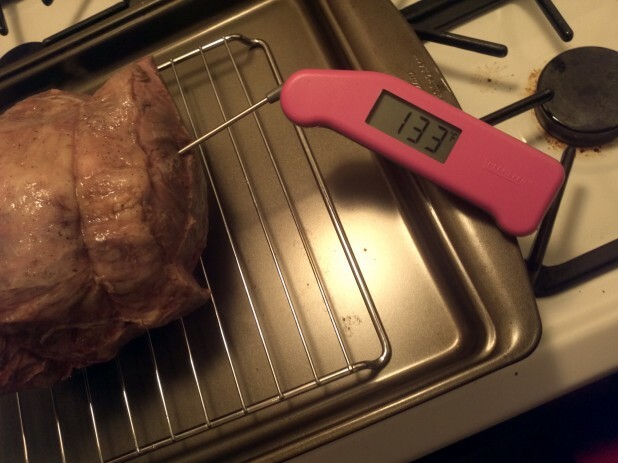 Its way faster and more accurate at reading temperature and I now almost exclusively cook meat to a done temperature rather than a specific time.